Active motion sensors, also known as radar-based sensors, use ultrasonic sound vibrations. The same technology used for pregnancy imaging. These vibrations then bounce back, like a bat, and the sensor can tell if something changed the distance of the bounce. When the signal changes it then triggers the sensor to send out an alarm. 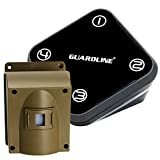 Passive sensors are much more common for household security. They are a lot cheaper to make and work just fine for security purposes. There are two different types of passive motion sensors. 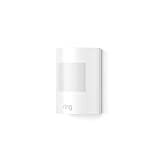 Passive infrared motion detection (PIR) detects infrared heat energy. Gradual increases of temperature, like changes in weather or household temperature, will not set off the alarm. A human or animal however, would be a dramatic increase in infrared energy and set off the alarm. Photo motion sensors generally use concentrated light beams, like lasers, to detect when something disrupts the light intensity. If something crosses the beam, it will set of the sensor. Sound is the enemy to motion detection systems. The slightest sound will cause light waves to bend. Try to stay quiet as you move across the room. Hold breaths and take tiny steps across the room. Pretend to be throwing a surprise party for a family member or that death is the final stake if there are any sounds made when moving across the room. If there are creaky, wooden floors, step lightly across the boards step by step. Body heat is another enemy to motion detection systems. For passive systems, they can pick up infrared light that the human body can emit. The detector will look for any changes in the infrared in the room and its surroundings. It can be difficult to get across the room in summer or winter. If a person’s body temperature matches the room, it is not wise to go in there. The best thing to do is to try and cool off before going into a room. Extremes are not needed. There are simple tricks to lower body temperature with one simple search on Google. Like stated before, running will not beating a motion system detector. Do the opposite. Go slowly into a room as possible. Take little, quiet baby steps and then stand still for a few minutes to time. While doing that, take time to look around the room to see where the motion light to monitoring in the room. Some models can do large scans of the room. With this in mind, it could be easy to stay out of the path.